Liberty Hill Plantation was first listed in the Crop Accounts in 1786 as a pimento plantation. According to Higman, “pimento was grown widely on plantations and pens as part of a diversified land use pattern, but appeared as a major crop on only a small number of units…Cotton was even less common than pimento. For both pimento and cotton, processing was a relatively simple matter, so that the works were limited in extent and function.” The Liberty Hill plantation house and pimento barbeques have survived that era and can still be seen on the site. In 1786, earnings at Liberty Hill were made from the sale of 2,089 pounds of pimento, 47,190 plantains, 2,000 shingles, 1 horse and the rental of enslaved Africans, houses and grass pieces. 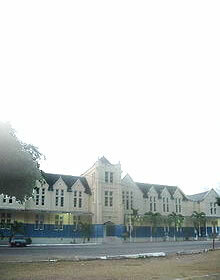 The property was then owned by the Traceys, who also owned the Windsor sugar estate in St. Ann. It is said that the Traceys used their Liberty Hill residence, which was probably built in the late 1700s, as a change in the hot weather. In 1802, the plantation continued to cultivate pimento, but the records indicate that there was also the cultivation of coffee. The Accounts Produce for the year revealed that the plantation made its earnings from 49 bags or 4,937 pounds of pimento, 300 pounds of coffee and the rental of enslaved Africans and grass piece. The overseer at the time was Alexander McGregor. By 1830, however, coffee was no longer mentioned as one of the crops cultivated on the plantation. Produce included 674 bags of pimento, 23,600 plantains and 520 tons of fustic. By then the property had also changed hands, Avis Stennett was the new owner. She had as her attorney on the plantation Charles Smith and Robert Stockwell as overseer. By 1833, on the eve of emancipation, the plantation produced 315 bags of pimento, 71,080 plantains and 9 stock. In 1882, the property then comprising 357 acres produced 453 bags of pimento. Of the 357 acres, 200 acres was given to common pasture and pimento, 156 acres wood and ruinate and 1 acre ground provisions. The property was then owned by Georgiana Stennett. By 1930, Liberty Hill not only produced pimento, but also banana. The property at the time was valued at £2,500 and was owned by Annie Stennett. The records indicate that in 1938, Liberty Hill plantation had changed hands. After over 100 years of ownership by the Stennett family, the property was then acquired by Violet Syer. Pimento and banana cultivation and cattle rearing continued at the site. By 1945, cocoa cultivation was an added feature on the plantation. At that time the property was still owned by Violet Syer. In the 1960s the property passed from Violet Syer to Leslie Nathan. Liberty Hill was also associated with the first inhabitants. 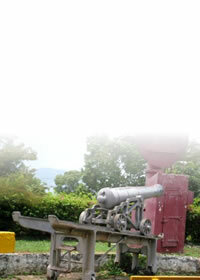 In 1912 a Taino midden was discovered at the top of the hill where the plantation house stands. The midden covered an area of about half an acre. The collection of remains was uncovered when a new driveway was being made to facilitate the turning of motor cars. According to Cundall, the pieces unearthed at Liberty Hill afford good examples of decoration in the handles for pottery especially. One is distinctly fashioned like a parrot’s head; another has a curious serrated edge not until then found in Jamaica. The bowls were found to vary in thickness from three-sixteenth of an inch to half of an inch. The pottery on the whole also seemed better baked than that usually found. 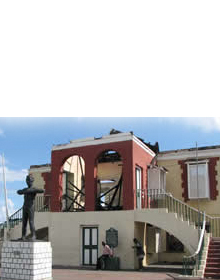 The artifacts are presently housed at the Institute of Jamaica. Today Liberty Hill is owned by Jennifer Kerr and associates. The site is marketed as the perfect destination for weddings, corporate meetings, retreats and other social events.